Your age tends to reflect on your hands before your face. It decides that how many candles you are going to burn in your next birthday. The way we start paying attention to those fine lines on our face, we fail to heed to our aging hands. Hands tend to age much faster than any other body part due to endless days in sun, exposure to hot and cold water, dirt and what not. But with proper care, you can certainly reverse the signs of aging hands. You may not see any change in your hands in your 20’s or even in 30’s, and due to this, you may ignore the basic needs of your hands. Though in some, this problem can start as early as mid-20’s. The fat on the backs of our hand is very little, so even if small amount of collagen or elastin fibers breaks down, it is very visible through your aging hand. Therefore, it is imperative that you start caring–cleansing, moisturizing and waxing, for long lasting beauty of hands. You are a bit late in starting your handcare regime, the newest creams, made from the plants is a well known therapy for you. These creams tend to promote collagen formation, which I think is not a bad idea at 40. It is proved in many studies that, you will see the improvement in your aged hands, in a few days, by constantly applying these growth factors containing cream like lifecell anti-aging cream. To keep your hands looking young, Derm advices to keep your hands off from direct sunlight. You certainly can’t keep wearing gloves to avoid sunlight, but coating your aging hand with a good sunscreen several times a day can save you. Dermatologists suggests using sunscreen containing Mexoryl SX–offers a long-lasting protection from UVA and UVB—rays responsible for brown spots and wrinkles. Well, like injection fillers for removing wrinkles from face, a medical treatment for hands is medical fillers. Because, the skin on the back of the hands is very thin, losing even a minimal amount of fat from hands make them look aged. Therefore, this medical treatment is used to add volume and fill some space under your skin, making the hands look younger. You get back your look by reversing aging hands into more younger looking hands. Taking time for those manicure regimes by yourself or by a trained beauticians is a bit of a controversy. So, keeping your cuticles hydrated will help that dry, scaly and jagged look at bay. Try to do it in a couple of times a week before going to bed. This is easy to do a couple times a week before bed. This can be your do-it-yourself task–apply cuticle and nail oil, swipe and rub it on the cuticles for a while. It will keep your cuticle soft and nails attractive.So, isn’t it easy to keep your aging hand in its best shape by following these easy tips. 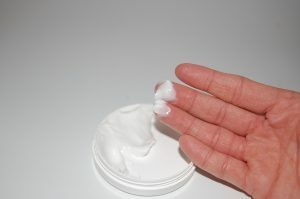 There is no mess involved in caring for your aged hands, as it is in removing those wrinkles from your face.